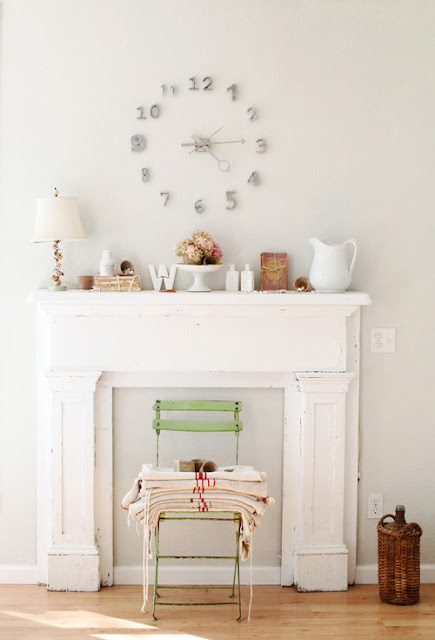 I love this vintage farmhouse style look and I love the color mint green. 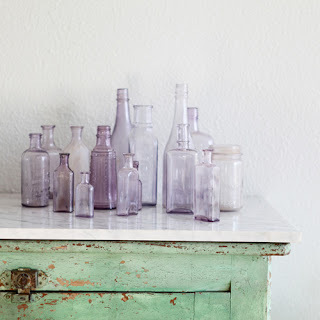 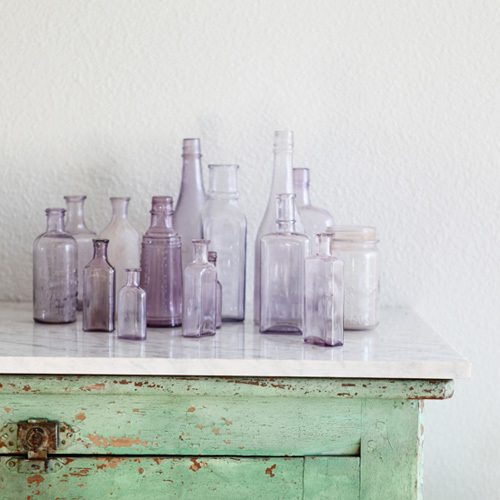 Vintage mixed with subtile colors like mint, lilac and beautiful flowers makes this a very bright and rustic style. 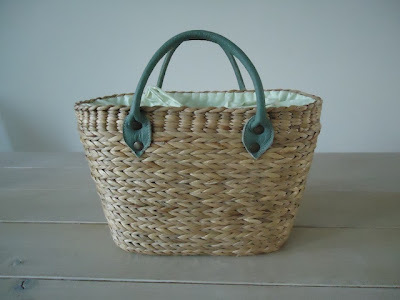 The fabric of the pretty basket is also in mintgreen and the basket would fit in well in the above interiors.